American Zettler improves the AZ2501 latching relay family to focus on the lighting market in North America | Press Releases | American Zettler, Inc.
Aliso Viejo, CA - November 16th, 2013 - American Zettler is proud to introduce a new member of the AZ2501 latching relay family, the AZ2501L. A modification of the popular AZ2501, the AZ2501L targets the lighting industries both in the US and in Canada. In addition, the AZ2501 has received UL recognition at 347VAC for lighting loads in Canada. "In gaining regulatory approval at 120VAC, 277VAC, and 347VAC," said Vice President of Sales Todd La Londe, "we have enabled engineers to use one relay for design requirements throughout North America." The AZ2501 has added a UL recognized rating of 15A@347VAC (magnetic ballast, 30K cycles). The AZ2501L features UL rated loads of 20A@277VAC for magnetic and 16A@277VAC for electronic ballasts (both 30K cycles). In-house testing confirms the AZ2501L can reach 40K cycles with a load of 32A@347VAC at 700C. A manual override switch is standard on the AZ2501L and optional on the AZ2500. "With latching relays poised to be the default choice in energy management and lighting controls," concludes Mr. La Londe, "American Zettler will remain on the forefront of the market." For more information, contact your local American Zettler representative or contact us directly at sales@azettler.com. 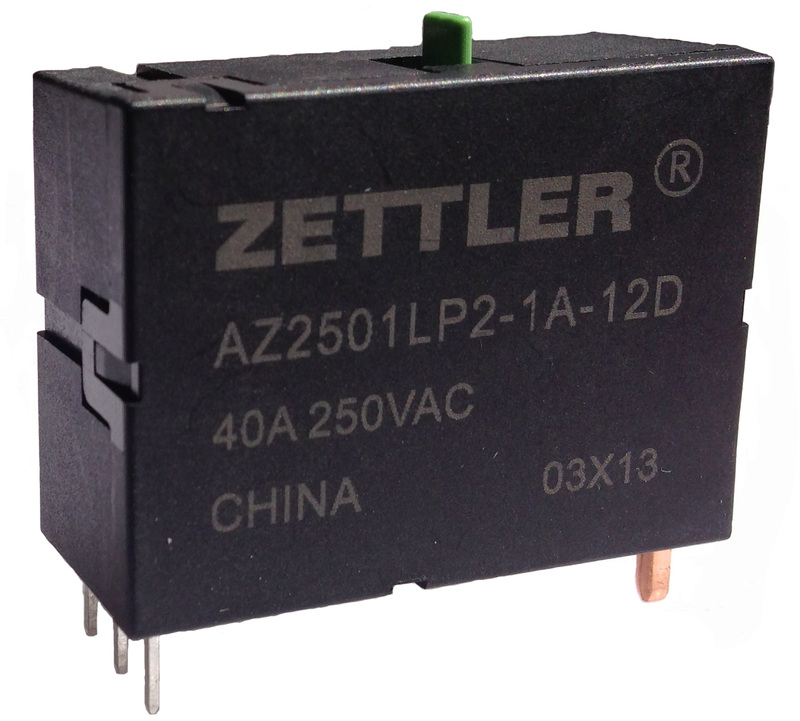 Headquartered in Aliso Viejo, Calif., American Zettler, Inc. produces over fifty different types of relays to meet the many requirements of commercial and industrial applications. Because of their high reliability, American Zettler relays are used in a wide range of demanding applications including telecommunications systems, computer peripheral and office automation equipment, home appliances, security systems, test and measurement devices, industrial controls and many other types of electric and electronic equipment. Additionally, American Zettler works closely with a computerized distribution network with stocking facilities in virtually every major industrial area in the world.